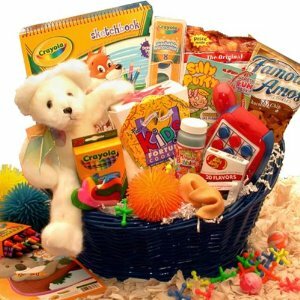 A kid birthday gift basket makes a unique gift for any child. It can be themed around their favorite TV character, teddy bears a color or a whole host of other ideas. Luckily Jackie from Fun and Fab Gift Basket Ideas has agreed to share some of her trade secrets! 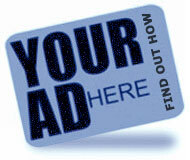 Hi Jackie, can you tell us a bit about you and your site? Of course, I’d love to! I live in Auckland, New Zealand with my husband and 12 year old son. My husband works full time as a chef and I am a stay at home mom. He creates most of the recipes for the website, and I do all the technical stuff and all the writing. I decided to do a website about making your own gift baskets because it’s something I love to do and I wanted to share that passion with others. I also believe that with a little imagination and inspiration anyone can create a beautiful gift basket; it’s so much easier than people think! What’s the most bizarre basket you’ve ever been asked to make? I always find it incredibly bizarre that people can choose a bunch of gifts that are totally unrelated and think they will look good together, when there is absolutely nothing that matches! But having said that, I must admit I do enjoy the challenge of finding some way of pulling it altogether and creating a fabulous looking basket! 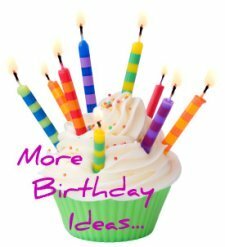 What’s the most popular kid birthday gift basket? It really depends on the age of the child and their individual interests, but if you plan your Kid birthday gift basket around something you know they are crazy about it’s bound to be a big hit! 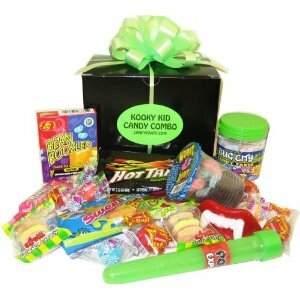 Activity and craft baskets work well for the young ones, movie themed baskets are good for older kids and most children of any age will love gift baskets full of yummy things to eat. 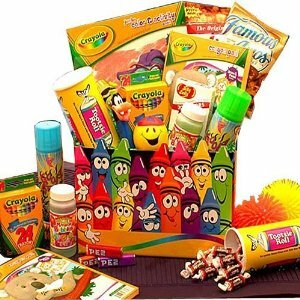 What would be good alternative gift basket containers for kids? There are lots of things you can use for containers, it’s a good idea to choose something that can be re-cycled or used for storage otherwise it can just end up as more clutter in their room. Can you give us your top 5 tips for putting together a kid birthday gift basket? Choose a theme. - Decide on a theme or an overall look for your basket, it makes it much easier to plan a basket around a central theme and will give you a more professional end result. Be creative and use your imagination! Write down a few things about the child and their interests. If you’re stuck for an idea try going through the alphabet. 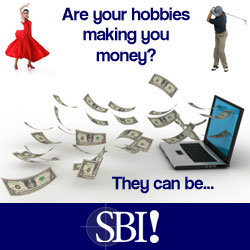 For instance A= angels, artist, activities. B= books, beach, bath products. C= cookies, chocolate, crafts and so on! Try not to mix highly fragranced items like soaps and candles together with food items especially chocolates. If you really can’t avoid it try double wrapping the ultra smelly thing and add it to your basket at the last minute and make sure you place it well away from the food items. Decide on a budget. - Make sure to factor in the cost of everything that you’ll use to make your gift basket including ribbons, cellophane, tissue, gift basket container and so on. It’s very easy to get carried away and you can end up spending a fortune on all those “little extras”. Choose a gift container that will showcase your gifts. - Depending on the theme of your gift and the amount of gifts that you are putting in your basket a gift basket container can be anything you like. If you’re on a tight budget use a gift bag or box instead of a more expensive gift container and that will leave you more money for the gifts themselves. Be particular about gift placement and wrapping. - You can never take too long with this step, nothing looks worse than a poorly arranged or wrapped gift basket, so practice with these two things until you have it looking just perfect. If you’re not keen on a cellophane wrap try a gift box instead. Always use a smaller rather than larger box, you can lay a larger item on the bottom and place the smaller gifts on top. Place your gifts inside the box with the labels facing up and try to fit them in as snugly together as possible. You can scrunch up small pieces of tissue or cellophane to stop things from moving around inside the box too much. (This works well in a basket too). Co-ordinate your ribbons and enhancements. - To get that professional edge to your basket it’s really important that you try to match everything together. From your gift container and your gifts, right through to your wrapping and decorations. If you’ve chosen lots of multicolored goodies try to pick one central color that’s common to them all. Try a few color combinations and see what looks best, think about what colors you wear and what works together. For instance you wouldn’t mix a bright yellow shirt with a lavender skirt, but a purple one would be great! Most important tip! Whether you’re making a kid birthday gift basket, a gift basket for your mother, a thank you basket for your child’s teacher, a valentine basket for your other half or a Christmas gift basket for your boss, enjoy yourself and have fun! 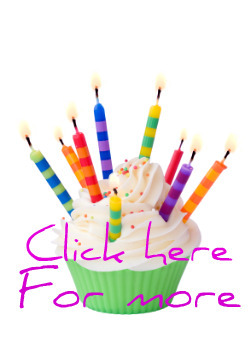 Go to Great Happy Ideas Home Page from Kid Birthday Gift Basket Ideas.